Alley cat portraits of Philly. In this segment of "alley cat portraits of Philly" we get to know Desmond. Desmond is one tuff black cat living around 7th and Fairmont Ave. I've seen him weather through a few bad injuries and keep on. Desmond will stand his ground to any not welcomed cat. On warm sunny days he can be found lounging on the sun soaked sidewalk. 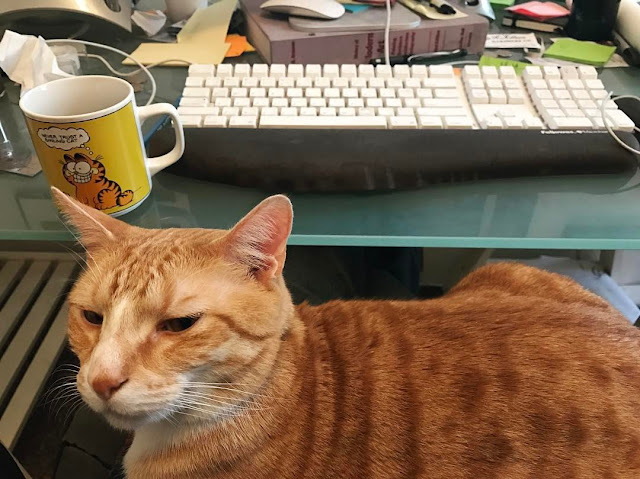 Desmond is also a social cat as he seems to have touched the lives of many on the block. Desmond's portrait will be part of the "alley cat portraits of Philly" show this May. This is Mila's cat portrait I did of her. 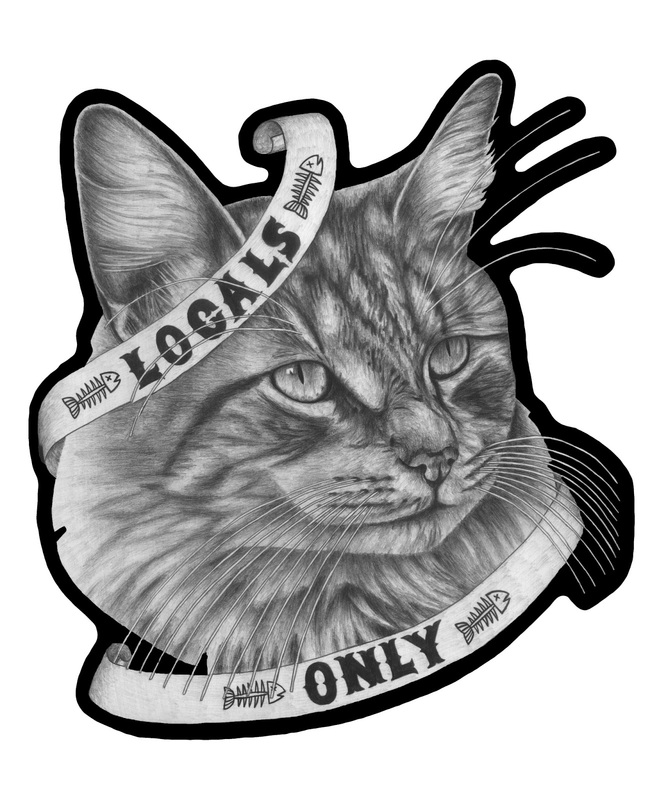 "Locals only" is the name of it. Cats are so territorial and alley cats don't just let any other cats in their watering hole! Mila is one of the 3 local alley cats I help out. I can hear when a cat from outside the hood comes in to the back yard. Back off! She's a sweet heart, though. 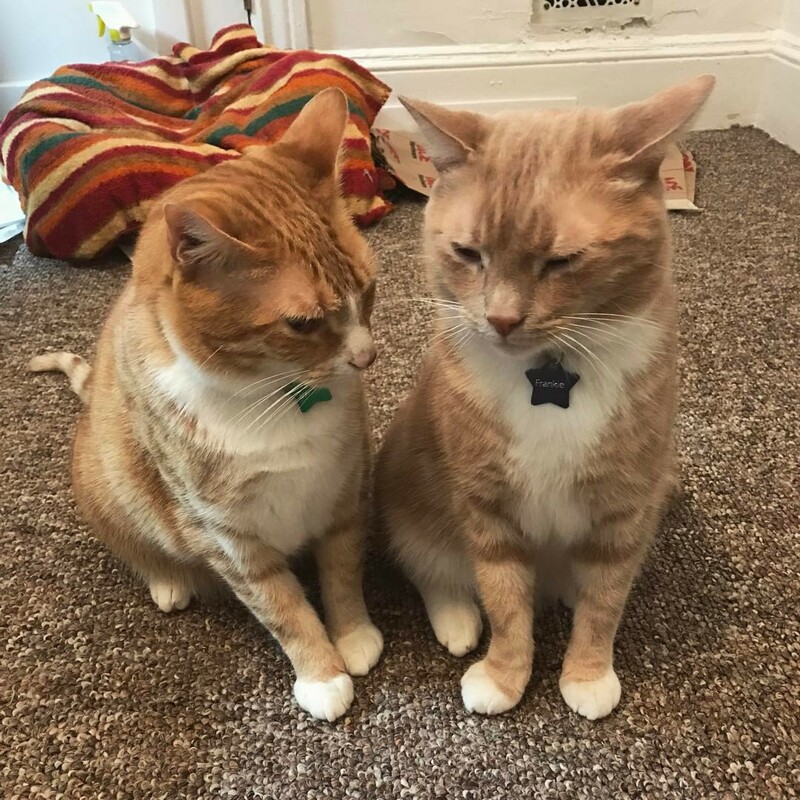 These two cats, Leo and Frankie, are always chillin' in the studio with me while I draw. Not always so calm though as they are here in this photo. 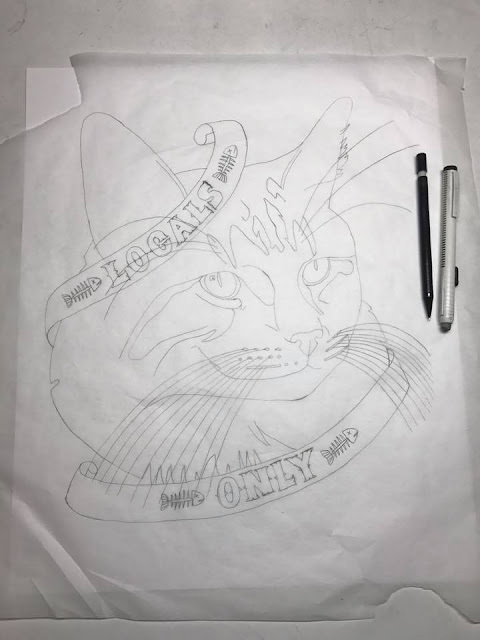 "Locals only" is in progress. This is Mila, one of the alley cats out back of the studio. There is 3 local cats I help with food, water, and shelter. Occasionally, I see the local cats have a stand off with cats outside of the neighborhood that walk through. 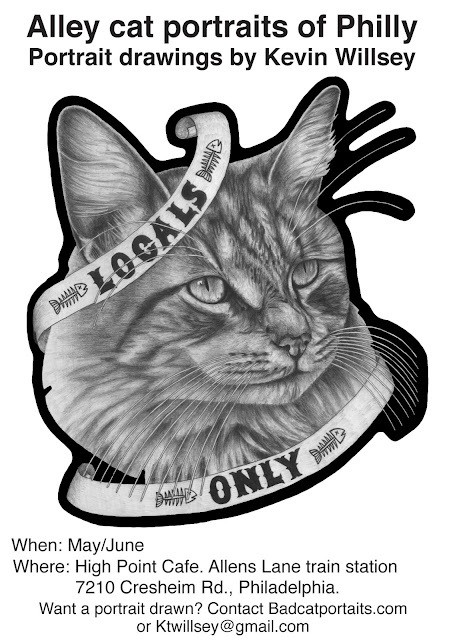 Here is the line art for "Locals only." 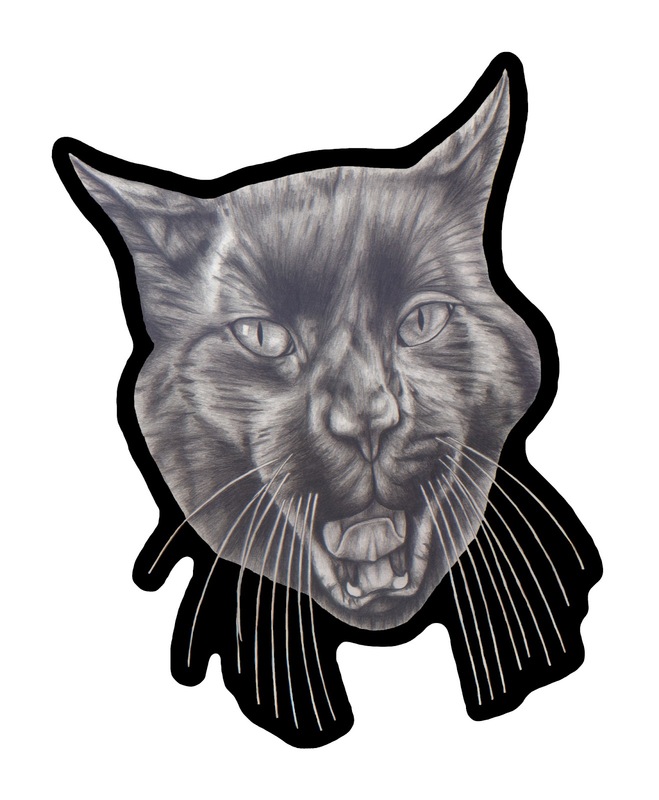 This is a cat portrait of Mila that lives out back. She is one of three locals I help out. Art show in the near future! 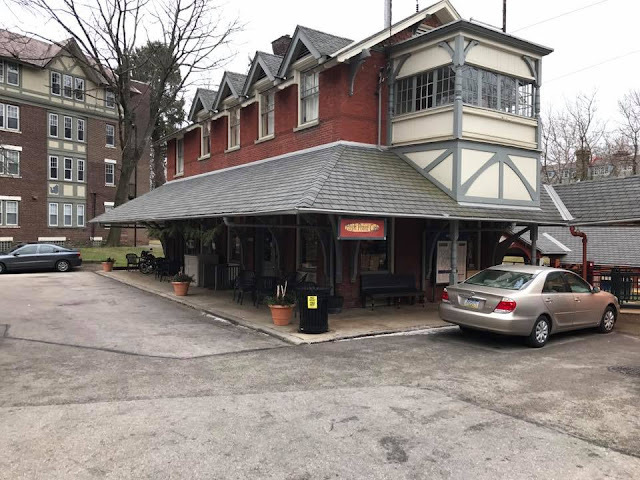 I went to High Point Cafe at the Allens Lane train station today to check out the space for an art show in the spring time. It's a coffee shop in my neighborhood. The coffee is excellent by the way. Look out for details as I get this art show in works. 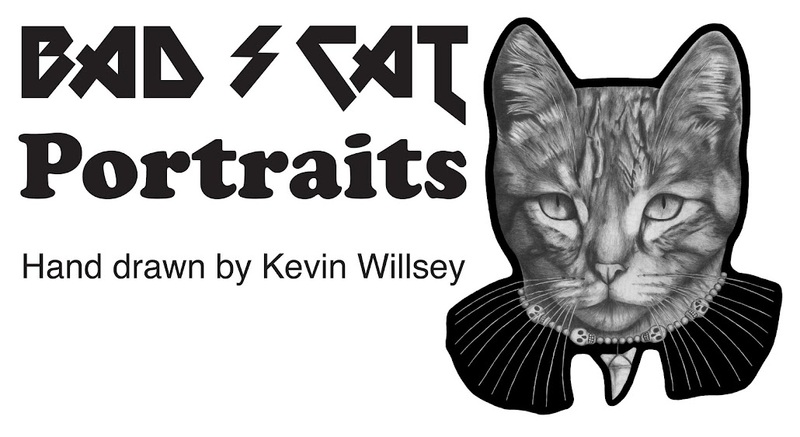 The art show will be alley cat portraits of Philly. 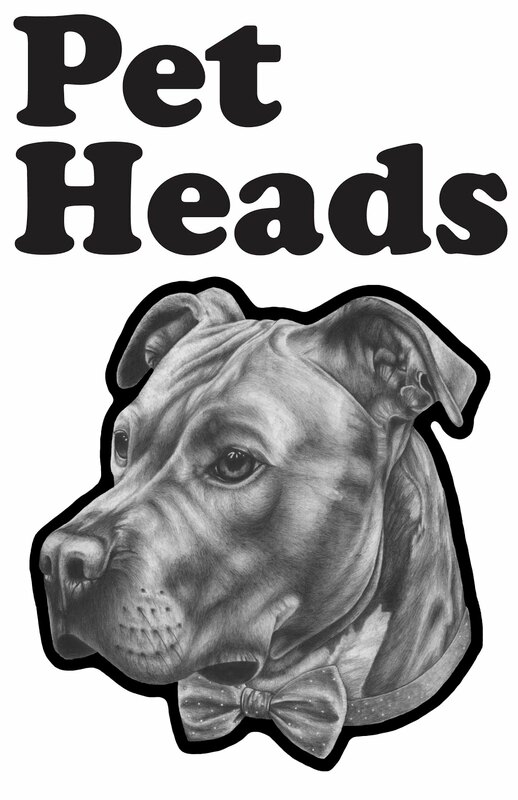 Pet Heads! It's a zine. Pet Heads is printed! 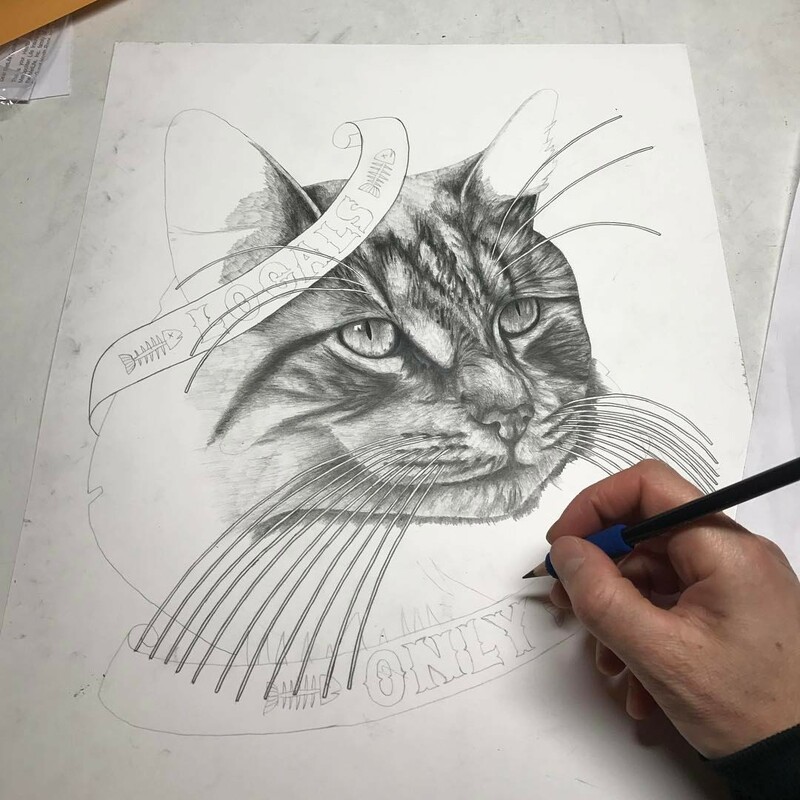 This is a 12 page zine of my pet portrait art. If you like one, get in contact with me. It's cold out there! Big Papa is using the cat shelter I made. I made this cat shelter a few years ago for about the cost of 5 dollars and an old blanket. 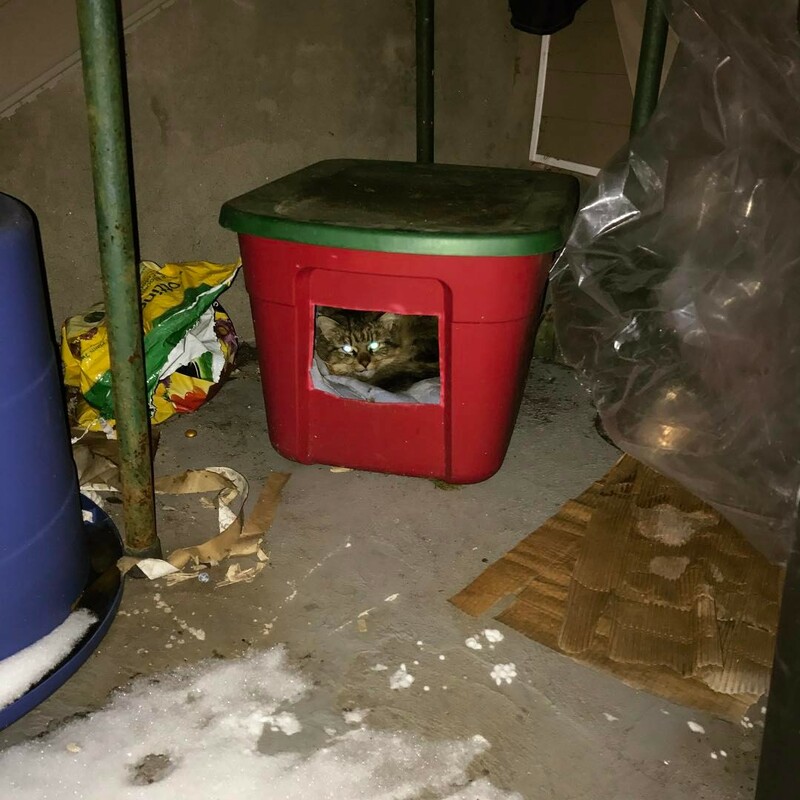 The stray cats always make use of it come these cold days of winter. I'm getting a little help to finish my Pet Heads zine. Pet Heads is all laid out and ready to be sent to the printer. Stay tuned to get a copy! Oh yea! 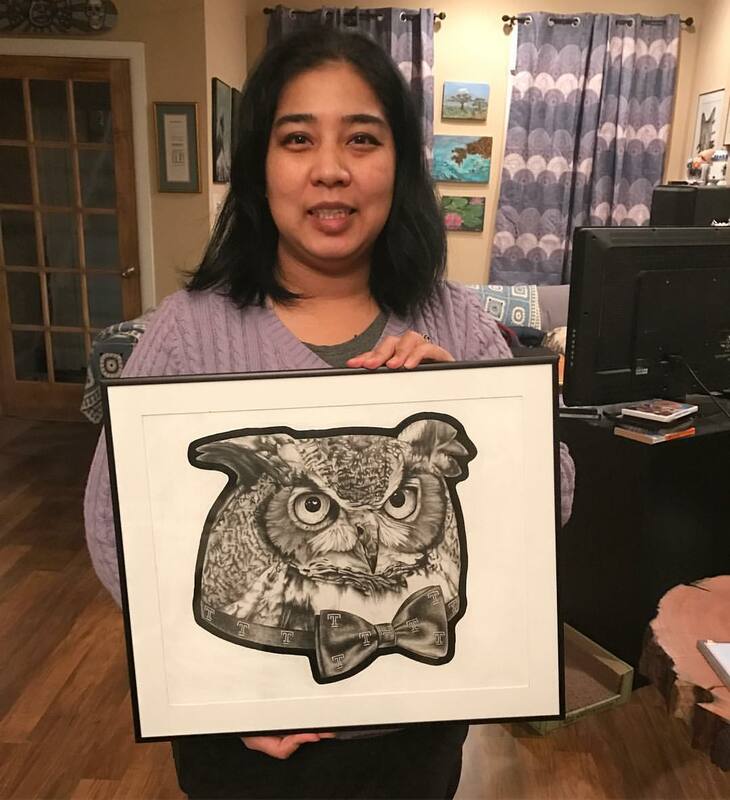 The owl portrait is framed and going to Deann's office at Temple. It's winter time. That means i'll be spending most of my time in the art studio. 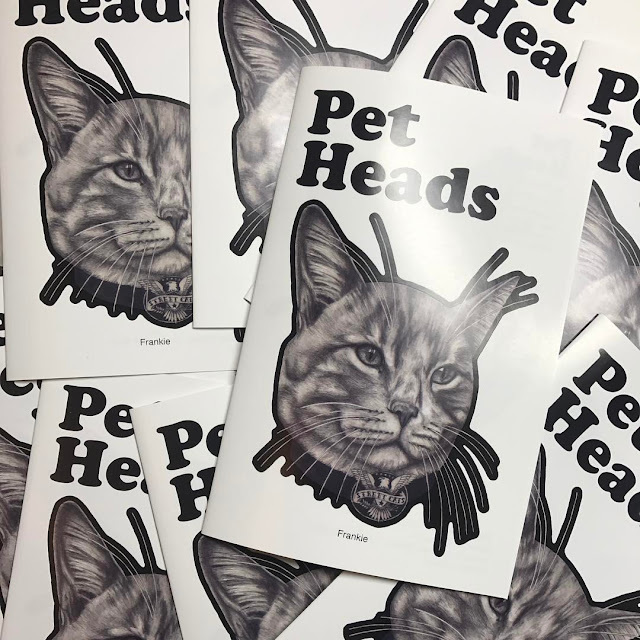 So, in between drawing portraits, I'll be putting together a little zine called Pet Heads.